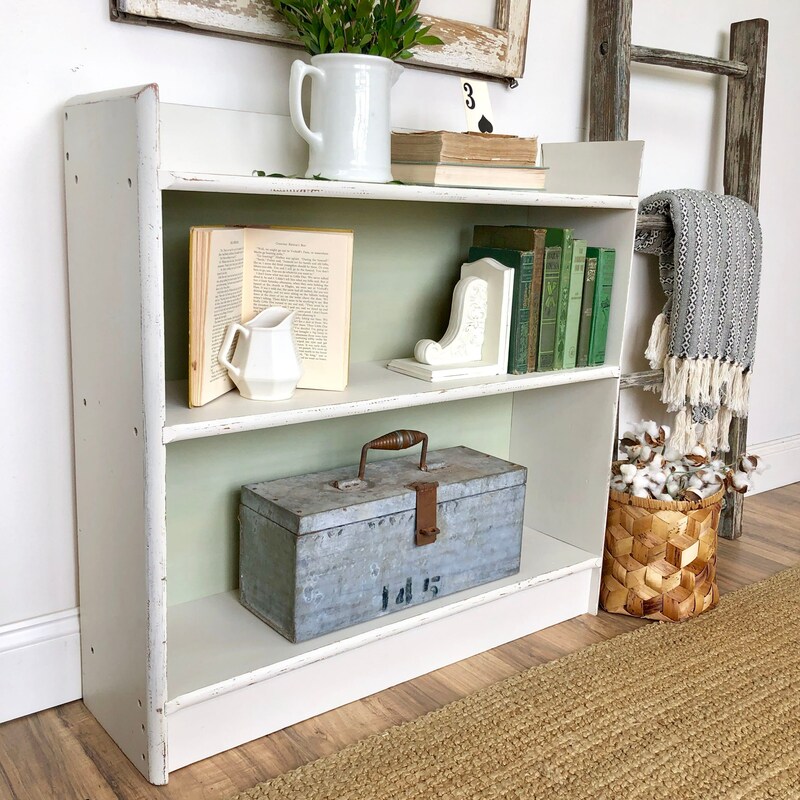 Let this distressed white bookcase add some rustic, functional style to your kid's bedroom or install it anywhere in the home where such a piece is needed. 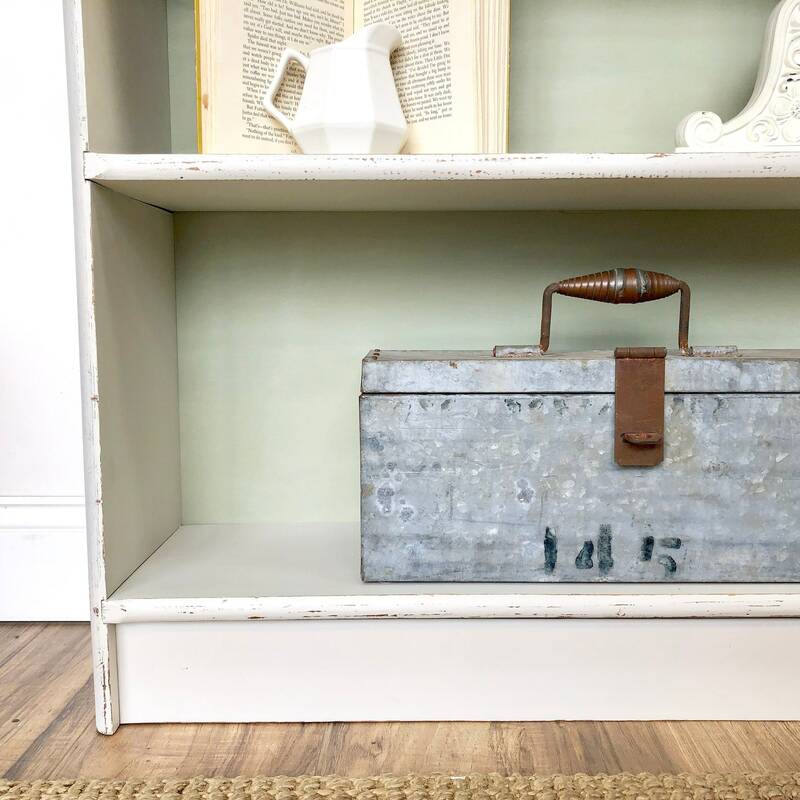 It is a durable, three shelf bookcase that has tons of room for books, home accents or small storage baskets. 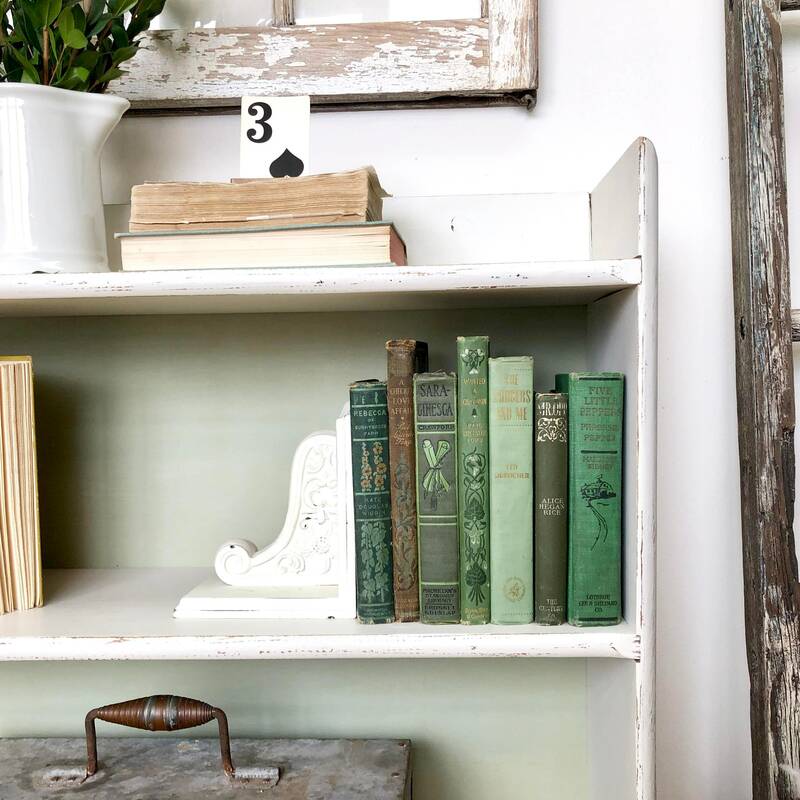 It is was crafted in days gone by when most furniture was manufactured from real wood. 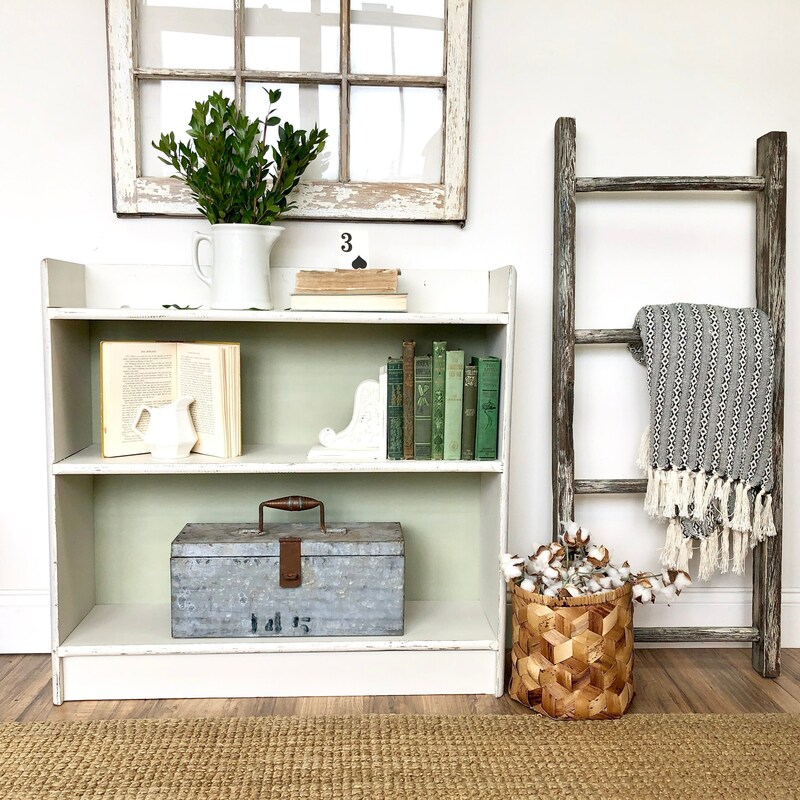 The backboard gives a pop of mint green color. 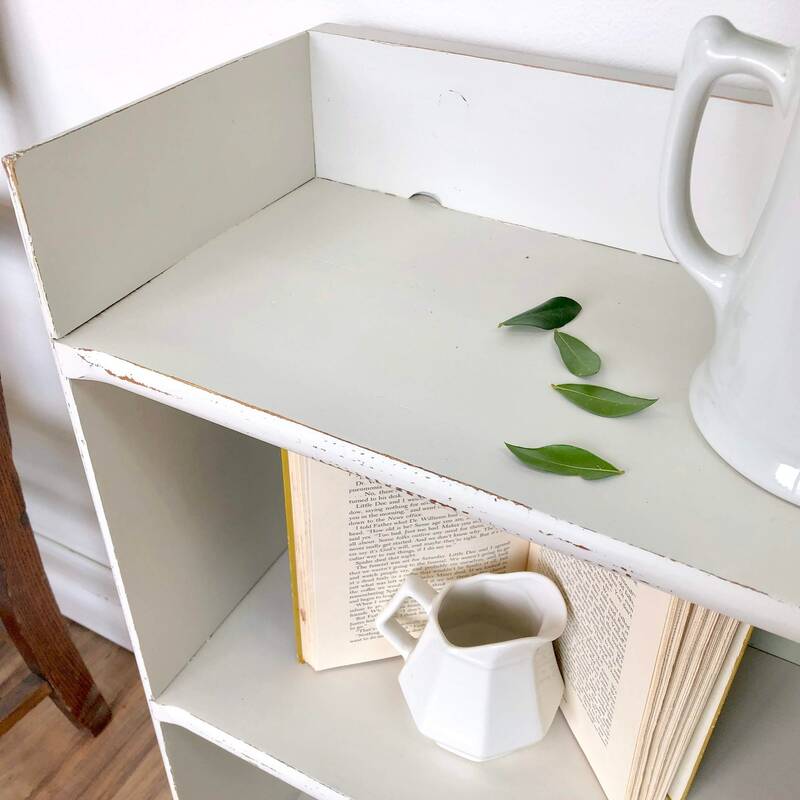 • 3 Shelf Bookcase, build sturdy and strong! 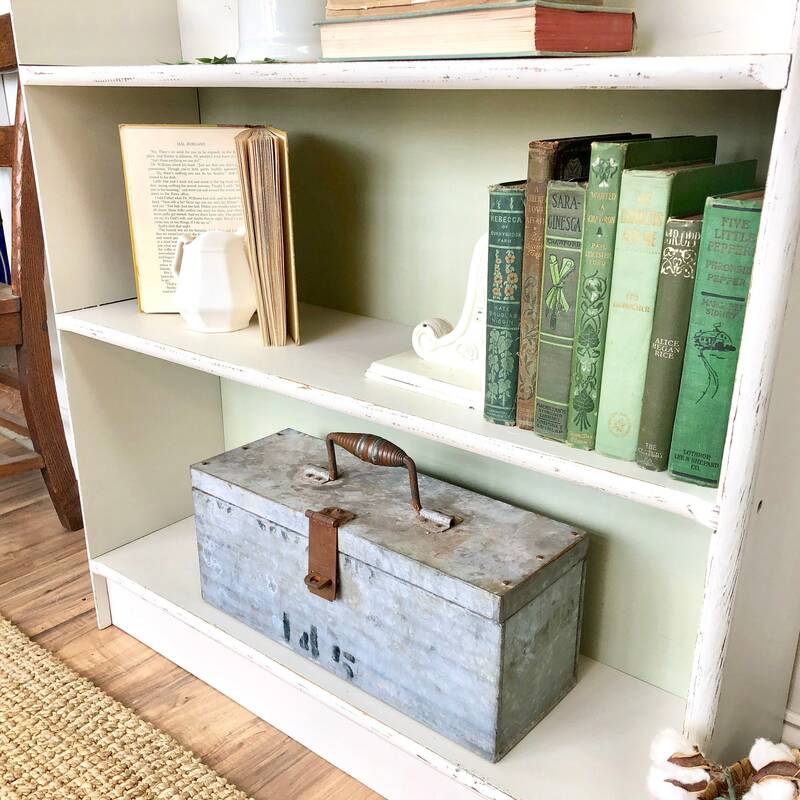 Hand-painted in a Farmhouse white color with a soft, mint green color on the backboard. Medium to heavily distressed for some of the wood color to peek through. 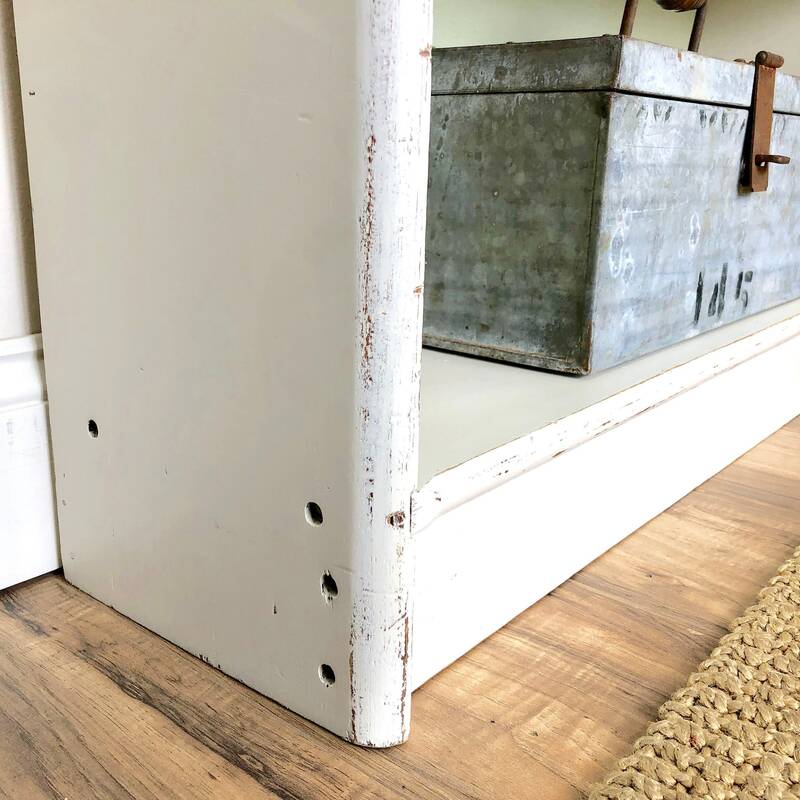 Distressed furniture adds interest to any room. 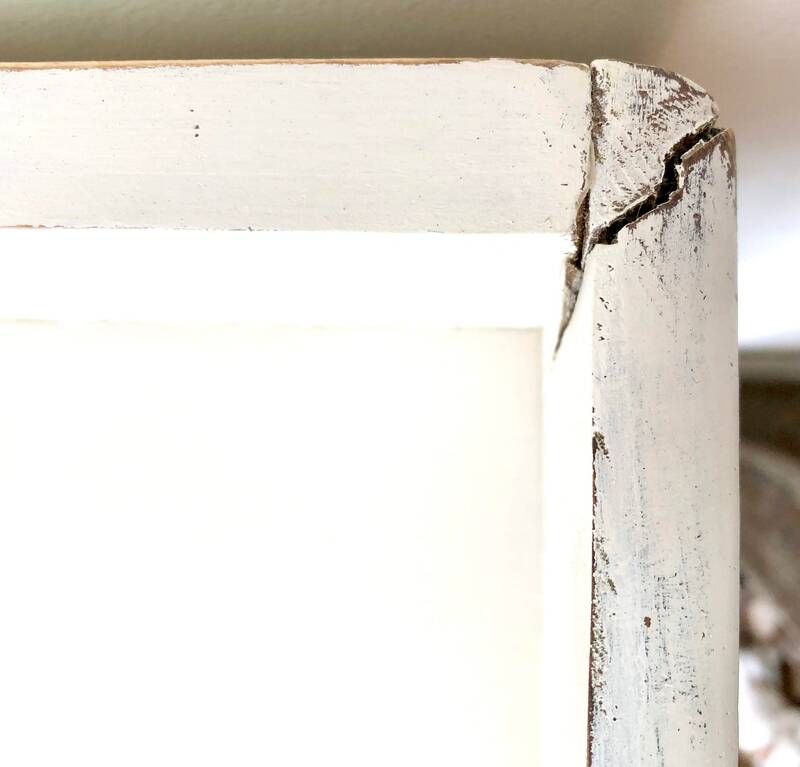 It does have a small crack in the wood on the right corner, but that does not comprise the structure of it at all. 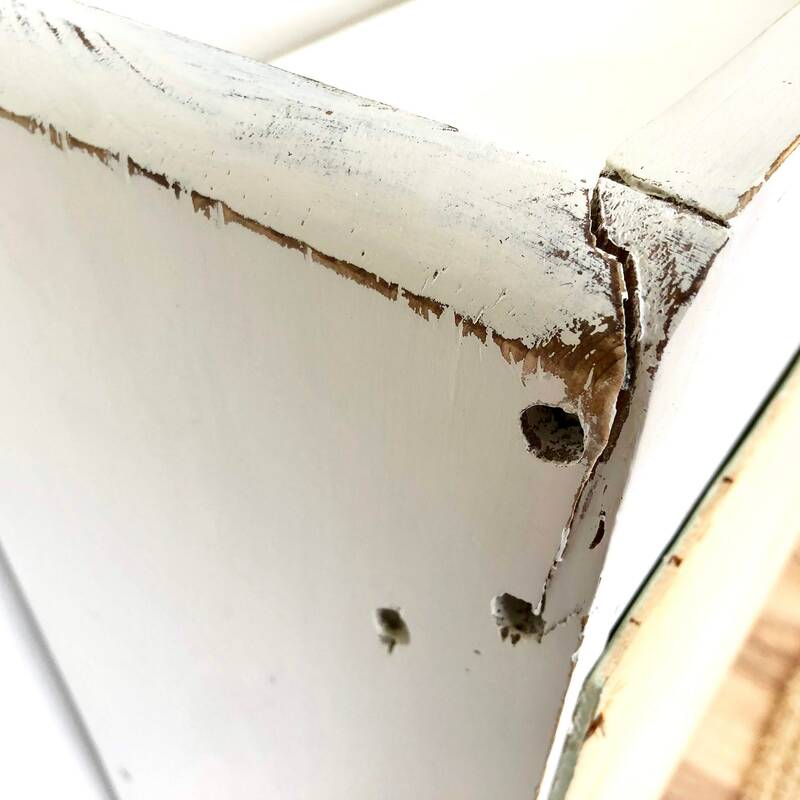 We've worked it into the shabby, distressed finish.